Sick of busy, too-big earrings that overpower your look? 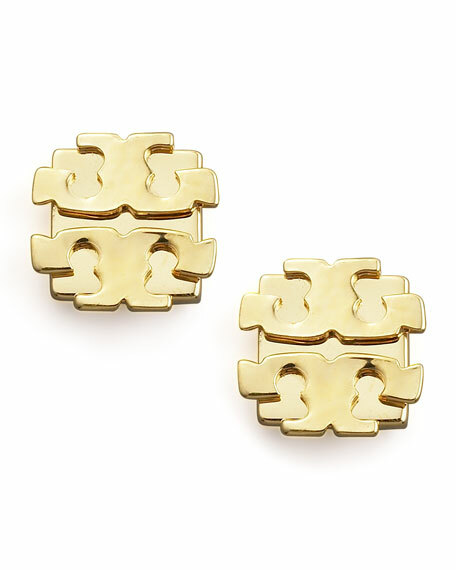 Tory Burch provides you with an antidote. These studs showcase a light-catching yellow gold double-T logo that frames your face with grace and glamour. Double-T logo face and square backing. For in-store inquiries, use sku #230365.